STARTS AT 8PM EST – SHARP! 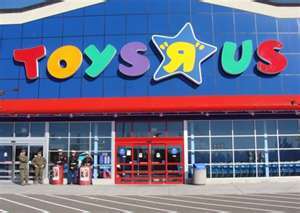 $25 Toys R Us Gift Card 24-Hour FLASH Giveaway!!! I’d have to choose paypal. I would choose Amazon GC, I’ve been saving up my Swagbucks to purchase Amazon GC, I have $25 total so far, adding another $25 would be awesome, and allow me to get something for my baby girl due November. i choose AMAZON that way i am forced to buy something i want but have put off because i didnt want to treat myself to it. 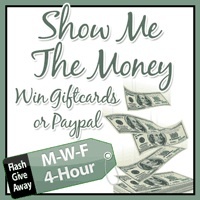 Love the flash giveaways! I would choose amazon.